On a glorious Friday afternoon, Lingoport welcomed a member of the Acrolinx marketing department for their monthly company barbecue. 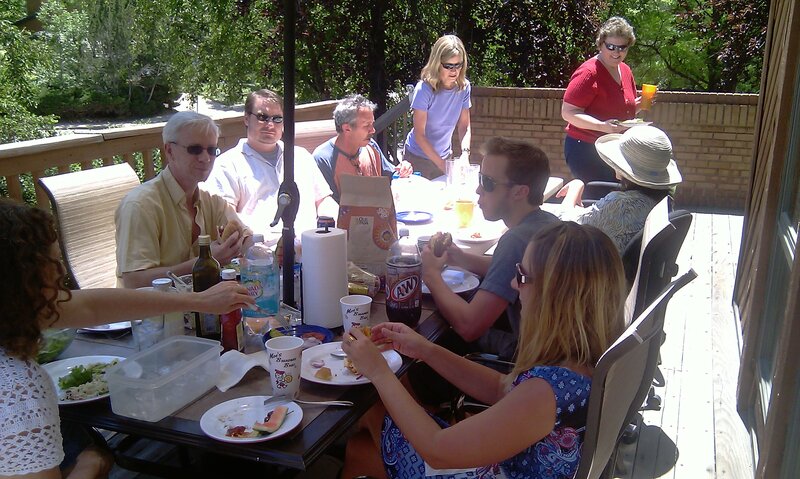 Jennifer Beaupre, VP of Global Marketing for Acrolinx, was the guest of honor as pleasantries were exchanged over scrumptious hamburgers, hot dogs, watermelon and potato salad. Lingoport’s software engineers joined as well, making an appearance outside of the attic where they typically spend weeks-on-end dealing with software internationalization issues and needy customers (this marks the first time they’ve been let outside since they were given the weekend off for St. Patrick’s Day). Raulf’s grilling skills were on display as he prepared a feast of lean meat for the hungry workers. He was especially stoked for the occasion as Lingoport Grilling Union Head, Spencer Thomas, noted. “Chris was listening to Grillz by Nelly over and over again and yelling out “let me see your grill” to everyone in the office.” Thomas added that he tried to explain to Raulf that Nelly’s song was referring to a grille –a piece of jewelry– not a grill meant for cooking. Raulf, a native of Switzerland, did not understand the difference.